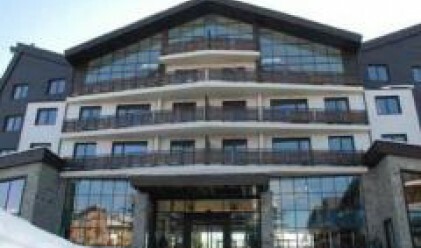 Colliers International Bulgaria opens the stylish White Fir Resort ski and spa apartment lodge today. Its the first such apartment lodge in Europe to be managed by Colliers and the only such development in Bulgaria to be run by an international property consultancy. White Fir Resort was developed by London-based MSI Developments, and is an high-quality contemporary apartment realty. Colliers International Bulgaria is providing property management services, including the leasing of 135 one, two and three bedroom apartments. White Fir Resort is located in Razlog at the foothills of the Pirin Mountains, overlooking the Ian Woosnam golf course. Razlog is less than 10 minutes from the famous ski resort of Bansko, 160 km from Sofia International Airport. Nicholas Yovanides, Regional Director of Property Management for Colliers International Southeast Europe, said, "White Fir Resort is the finest development of its kind so far in Bulgaria and we are delighted to offer these convenient apartments to holiday makers. I am confident that international visitors will be attracted to White Fir by the quality of management we are providing, which is the best for any such development in the country."